Figure 10.11 — Set-ups for direct force measurement. 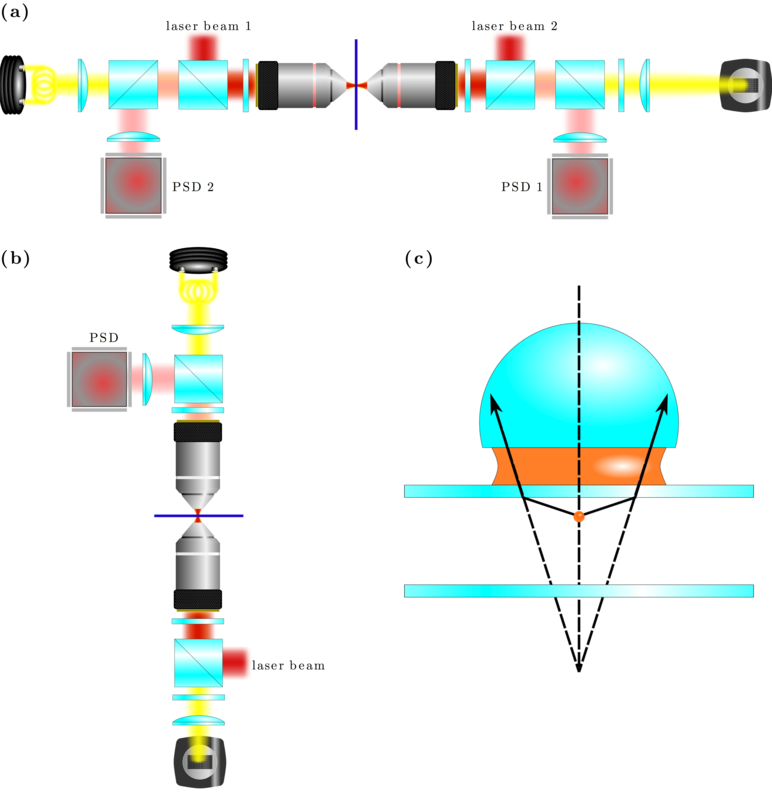 (a) Almost all scattered light can be collected using a counter-propagating optical tweezers set-up. (b) In single-beam optical traps, this technique becomes significantly more challenging as, in order to collect almost the whole forward-scattered light, a high-NA condenser lens must be used. (c) Close-up of the objective acceptance angle for the single-beam high-NA configuration.